The beauty comes in the one-of-a-kind color—the trumpets' white background with yellow shades, the deep cherry to black veins transforming to chocolate brown in the throat. Plants and blooms recover from a drenching downpour in under a day. Suitable for pots, combo planters and baskets. Hardy and disease-resistant. Petunia, Cappuccino is rated 5.0 out of 5 by 2. Rated 5 out of 5 by Carol in VT from Nice, basic flower Growing this variety for the first time worked out well. 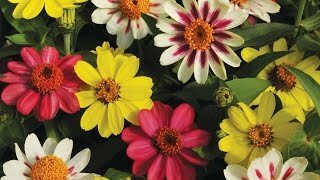 The germination was good and the color of the flowers is exactly as pictured. 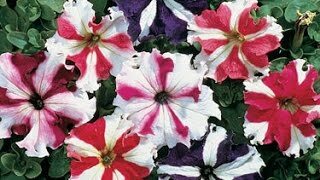 I used them in a container surrounding geraniums and they were a great filler. I also like that the old flowers fall off by themselves rather than having to be picked off. A major convenience. Rated 5 out of 5 by MelMel from Grows Beautifully! I bought this plant in May 2017. It lasted until the end of October (even after frost had occurred). I had to transplant into a bigger container by itself halfway through the season because it got too big for the container and started dying. Once it was transplanted, it grew beautifully! I am going to buy it again this year.